Over treatment is a persistent problem among the aging population. Research shows that the more doctors an individual has, the more likely they are to be prescribed conflicting medications. Indeed doctors may over treat elderly patients unintentionally. The Geriatrics Society advise that antipsychotic medication should not be given to people with dementia unless other methods of managing anxiety and outbursts, such as behavioral therapy, have already been attempted. Antipsychotic medicines are often prescribed, but they provide limited benefit and can cause serious harm. The effectiveness of these prescriptions vary, depending on the individual and the type of dementia they have. The common caregiver refrain is, “Should someone with Alzheimer’s be given antipsychotic?” Elder care experts have hotly debated this issue, trying to tease out the specific benefits of these medications for people with dementia and weigh them against the side effects, which can include confusion, incontinence, dizziness and even an increased risk of sudden death. While undoubtedly beneficial for middle-aged individuals and those with certain heart conditions, cholesterol-lowering medications (i.e. statins) may not help those in their 70s, 80s and 90s. As with all drugs, statins carry certain risks—including muscle damage and weakness, increased risk of falling and cognitive impairment. The likelihood that a person will experience these side effects tends to increase as they age. Research also indicates that low cholesterol may actually be a negative for some older adults. These are just a few of the things to consider when taking statins. Regular colon cancer screening is recommended for most people age 50 and older. Those with irritable bowel syndrome (IBS) or a family history of colon cancer are urged to start testing sooner. However, experts are questioning the value of colon cancer exams for older adults, especially since the risk of complication from colonoscopies increases as an individual ages. 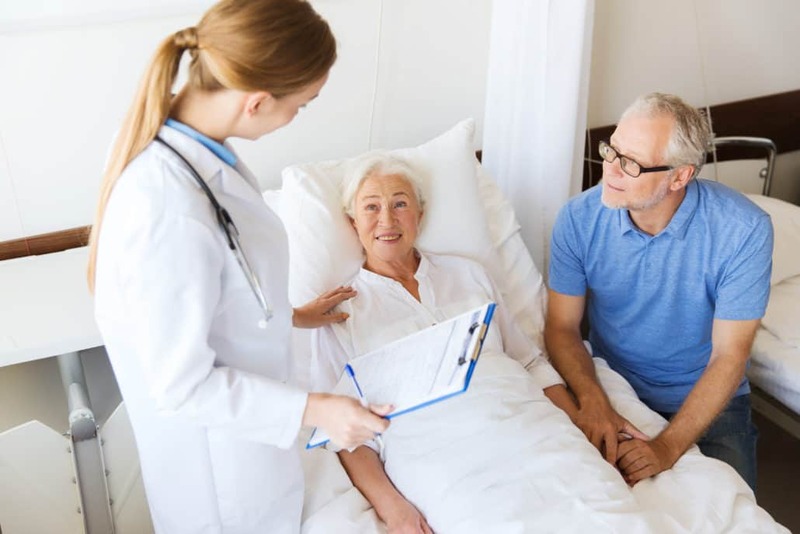 Most of Geriatricians suggests that each person’s situation be evaluated on an individual basis to determine whether a colonoscopy would be beneficial. For those with no family history of colon cancer and who have a life expectancy of less than a decade, the risks of colon cancer screenings may in fact outweigh the benefits. For people with severe dementia who can no longer eat on their own, feeding tubes are sometimes recommended to ensure adequate nutrition and avoid aspiration. However, doctors caution against the insertion of feeding tubes for those with dementia. Instead, they suggest oral assisted feedings as the preferable option. “Contrary to what many people think, tube feeding does not ensure the patient’s comfort or reduce suffering; it may cause fluid overload, diarrhea, abdominal pain, local complications, less human interaction and may increase the risk of aspiration,” according to most specialists. Often prescribed as a remedy for anxiety and insomnia, benzodiazepines and other sedative-hypnotic medications can have a profoundly negative impact on an older individual’s health and safety. The negative side effects of these drugs are enhanced in elders, putting them at greater risk for falling, being hospitalized and getting into car accident. The best way to prevent a loved one (or yourself) from receiving unnecessary medical treatments is to have an honest dialogue with the doctor. Above all, don’t be afraid to ask questions: What are the pros and cons of each treatment option? Are there any natural alternatives or lifestyle modifications that can be made in lieu of medication? What is the realistic outcome of a given course of treatment? Do All Seniors Need Geriatric Care? How to recognize that your parents are getting old?